Robby Boyd lives in Winston, Georgia. He has been with Ben Hill Renovations since 2008, and claims they are the best company he’s ever worked for! 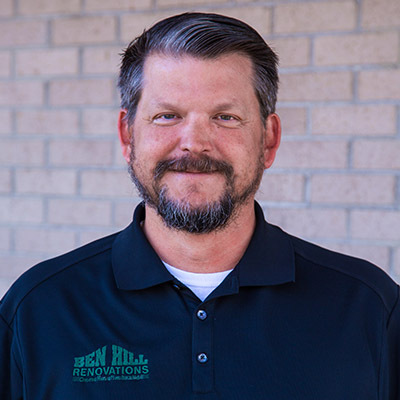 Robby brings 15 years of Home Building experience to the Ben Hill team. He also has co-owned a mortgage company with his wife, and uses that experience to benefit his Ben Hill Renovations customers! Robby most enjoys meeting people in the community, and turning them into Raving Fans. He takes special pride in converting customers who are not happy into raving fans. Customer service is job #1 with Robby Boyd! If he’s not with his customers, you can find Robby spending time with his wife and kids, golfing, fishing, or hunting. He also enjoys any chance he gets to volunteer in his community.